It’s been a tumultuous couple of weeks for Ed Miliband – he’s been attacked over his conference speech and faced criticism following Labour’s narrow win in Heywood and Middleton last week. This is surely a welcome intervention from Miliband following recent upsets. It also came ahead of news that a rumoured reshuffled was most likely not on the cards. 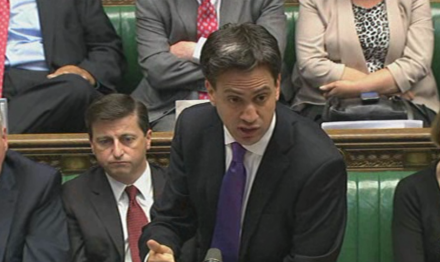 It looks like for the moment, Miliband is concentrating on keeping the team he has united in order to win in May.